As someone that was born and raised in Ohio (decidedly Midwestern/Northern) by a family with its recent roots in Tennessee (decidedly Southern), I think one of the reasons why I fell in love with Louisville so instantly is because it's as much of a melting pot of the two cultures as I am. I honestly think this is part of what makes Louisville such an amazing place: that in every ounce of this city's culture is an intermingling of North and South in the best ways possible. There is one unequivocally Southern thing that I've encountered in Louisville: Southern Hospitality. I grew up the granddaughter of a Southern gentleman that owned a soul food restaurant that was a cornerstone of it's community. I know Southern Hospitality when I see it, and I see it everywhere in Kentuckiana. From the smiles from strangers on the street, to the way the way that a new friend welcomes you into their home, their group, and their life without a second thought. And I knew that this was something that I wanted Louisville Area Doulas to embody in everything that we do. Southern Hospitality is something that is often referred to, but rarely defined. Good ole Wikipedia defines it as: "the stereotype of residents of the Southern United States as particularly warm, sweet, and welcoming to visitors to their homes, or to the South in general". But I'll take it a step further. Southern Hospitality means making people feel at home, no matter who they are, where they are, and how long they've been there. It's going out of your way for the comfort of others. It's anticipating their needs and meeting them before they even realized it was a need. It's focusing on the details while nurturing another person, feeding their spirit just as much as you feed their belly. It's wrapping them a warm blanket of comfort, literally or figuratively. So what do doulas have to do with Southern Hospitality? There are a lot of dry, boring definitions of what a doula is. "A woman or man that provides physical, emotional, and educational support for blah blah blah...." You catch my drift. Have your eyes glazed over yet? What doulas really do is make you feel at home in a new, exciting, scary, life changing situation. You're having a baby! Or you just had a baby! It's equal parts wonderful and terrifying. And that's where Lousiville Area Doula's focus on Southern Hospitality comes in. Imagine a restful Sunday morning. You wake up at your leisure. You feel the relaxation of knowing that there's nothing that you have to do today: everything is taken care of. You get to spend this beautiful day doing your favorite things with your favorite people without a care in the world. This may not be the picture that immediately comes to mind when you're expecting a baby, but it's exactly how it can feel. Your Louisville Area doulas will be there to help you feel comfortable, even when it seems like life is happening at the speed of light. When you're lost and confused about your options, we'll be there. Our prenatal classes in Louisville and the surrounding area don't treat birth as a cookie cutter list of stages and options: we focus our attention on you, your partner, and the unique desires that make up your ideal birth experience. Whether you have an idea of what you want, or if you're starting from scratch, we meet you where you are (literally--we'll come to your home for a private or group class) and help you create a road map and give you the tools that you need to navigate your birth experience. When you're exhausted, on bed rest, or insanely busy, our baby planning experts and antepartum doulas can help with everything from the day-to-day tasks like nourishing your self and your family and keeping your home tidy and comfortable, to the once in a life time events like celebrating your pregancy with the people you hold near and dear. On your baby's birthday, one member of your personal team of birth doulas that you've gotten to know and feel comfortable with will be right there beside you, providing you and your loved ones with all the support and advice that you need to feel safe, secure, excited and empowered as your welcome your baby to the world. And when you bring your baby your baby home, your postpartum doulas will be there whenever you need them, for as long as you need them. We take care of you and your family with the compassion and professionalism that will make you feel right as home in this new chapter of your life. You focus on bonding with your family, resting, and falling in love with your new baby as we take care of everything else. THE LOUISVILLE AREA DOULAS DIFFERENCE. Our focus is your comfort, and that's infused in everything we do. From the first time you call us all the way through your relationship with Louisville Area Doulas, we promise that you'll feel taken care of and at ease. We will be with you from pregnancy test on through your first weeks and months as a parent, supporting you with gentleness, attention to detail, and an unrivaled focus on your family's unique needs. Because as the world changes, society progresses, and your family grows, one thing stays the same: everyone loves the warmth and comfort of sweet, classic Southern Hospitality. And that's exactly what Louisville Area Doulas delivers. 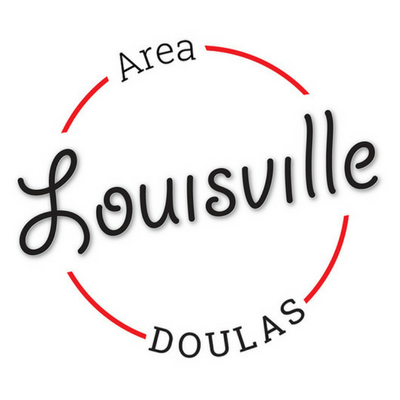 our modern take on classic Southern hospitality means that everyone is welcome to the louisville area Doulas family. GIVE US A CALL TO FIND OUT WHAT WE CAN DO FOR YOU.